Mt. Pleasant, SC, January 30, 2017 --(PR.com)-- Medical Interview Coaching & College Career Coaching is located in Charleston SC. This coaching practice is a combination of two specialties: interview coaching for pre med students, and college career coaching. 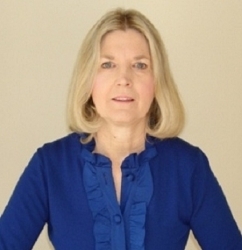 Margie Curry was a top Career Coach and Recruiter in Atlanta before relocating to the Charleston area. Her skills include: developing interview questions, evaluating candidates responses, broad-based knowledge of many different selection processes, developing career strategies for new college grads, and social skills coaching. "I offer a special service for parents who need support if their son or daughter is struggling to jumpstart their life or career," says Ms. Curry who has 12 years of experience in career coaching and 10 years in recruiting. The Meet & Greet Coaching Sessions for Parents is an opportunity to meet with a skilled coach, discuss the individual needs of their child (ages 16-26), develop a strategy, and then begin coaching sessions to help them feel more confident until they can fly solo. "I was the only Career Coach in Atlanta that offered this support to parents and received referrals from psychologists and other professionals. My clients trust me and I always protect their privacy."